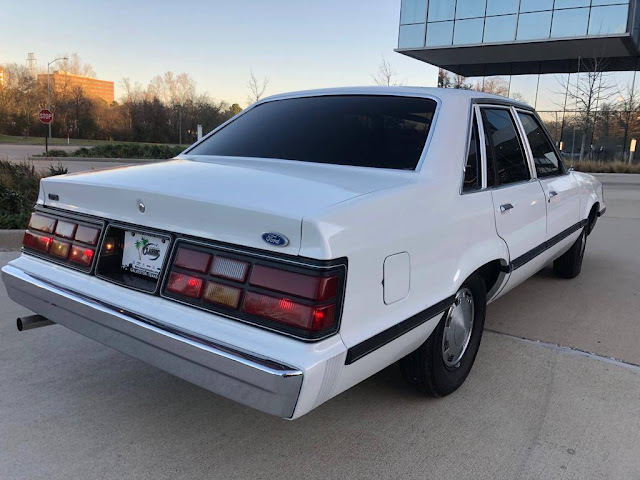 This next car comes from tipper Jon who writes: Here is a clean 1986 Ford LTD looking very ex-police car in white with bordello-red interior. At the $4k-ish asking price, it looks like some throwback fun for the folks who remember that this sedan was built on the Fox platform. The only potential downer might be the engine under the hood - these things came with either a wheezing 4 banger, a straight 6, a bigger v6 or the 5 liter Windsor v8. I know which one I would hope for. 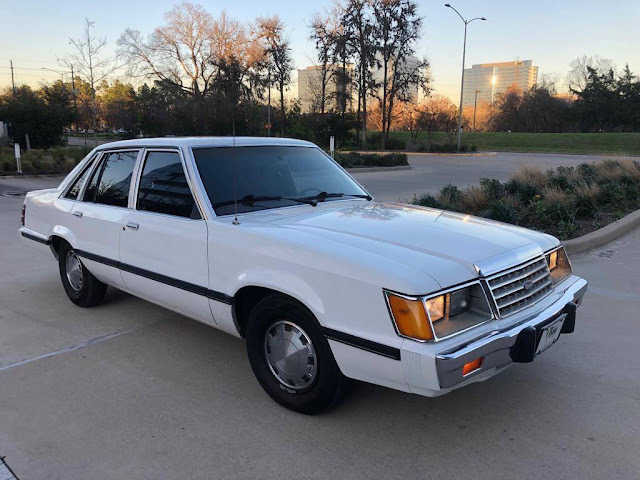 Find this 1986 Ford LTD offered for $3950 in Houston, TX via craigslist. "I wonder what's under the hood...? " I'd go for the Men In Black package myself. The initial sketch of the 4th generation LTD was drawn on the 4th Thursday of April, 1980. Though not officially recognized at the time, years later that day became known as "Take Our Daughters and Sons to Work Day" across the country. This is why the LTD looks like it was designed by a 3-year-old. It was. Go ahead and try to disprove that. AFAIK, the LTD only came with the 3.8L V-6. But in a Fox platform, you can go any route you want. Someone forgot to mention the turbo-four from the SVO Mustang. This right down the street from me, but I've never seen the car on the road. Fun fact: the parking lot where the car was photographed was covered with 5 feet of water for several weeks after Hurricane Harvey.